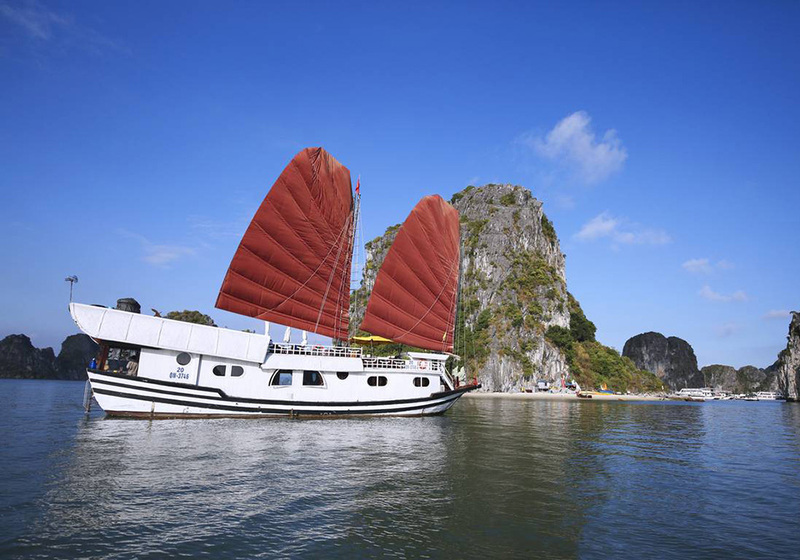 How to choose a suitable Halong Bay cruise or a Halong Bay private cruise? It is probably the most frequent question my team and I have heard from our clients. 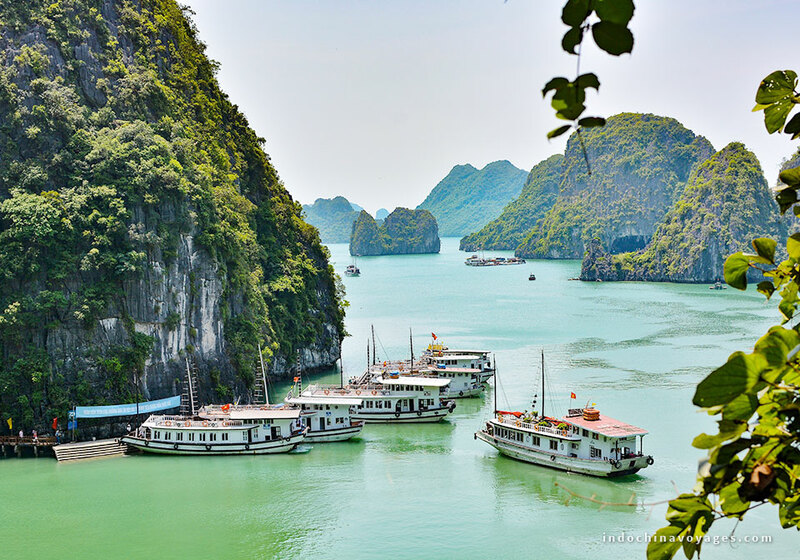 It seems like there are hundreds boats in Halong Bay but it is also an obstacle for the travelers – which cruise is suitable? If you never read anything about Halong Bay Vietnam, you may wonder why there are hundreds of cruises. Halong Bay is located around 150km east of Hanoi in the Gulf of Tonkin. With over 1,600 limestone islands and islets which are mostly inhabited, it is one of the most popular travel hotspots in South East Asia. Because this is the Bay, cruising is the ultimate way to enjoy everything here. The stunning sceneries while cruising slowly through the islands and islets, the breath-taking view for sunset and sunrise. What is better than enjoying your cocktails on the ship deck or sleep overnight in the most quiet area in the world? If you are nodding your head in respond to agreeing with me, then the next step is how to squeeze the Halong Bay cruise trip to your travel plan. The travel duration can be a half day, a full day, 2 days 1 night, 3 days 2 nights and 4 days 3 nights. It is pretty flexible. The activities and spots vary due to the duration you choose but most common things are exploring the natural caves and floating fishing village, visiting Pearl Farm, kayaking, cooking class/demonstration on board, swimming in the beach, squid fishing at night, etc. 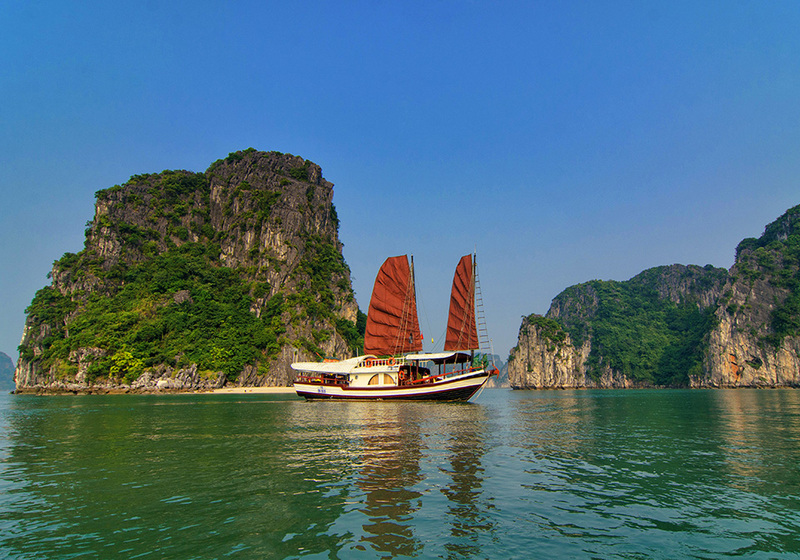 Within this article, I will mostly focus on the Halong Bay private cruises. It means there are only you, your partners, your group with the cruise staff, more in the side of personalized services. So I would suggest some of the excellent choices for your reference. 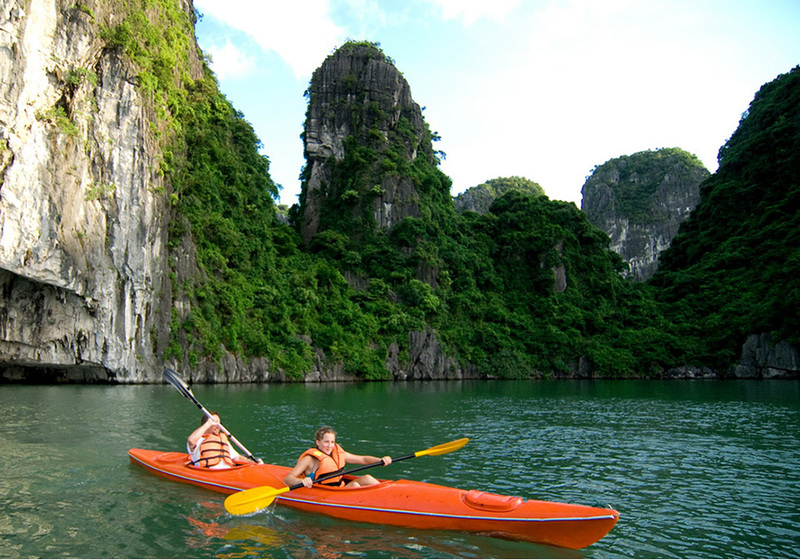 Halong Bay is truly suitable and romantic for couple’s getaway. Everyone wishes to marry once in a lifetime; so I believe that the budget now is not really a big issue while choosing the perfect cruise. Choose the luxury one! 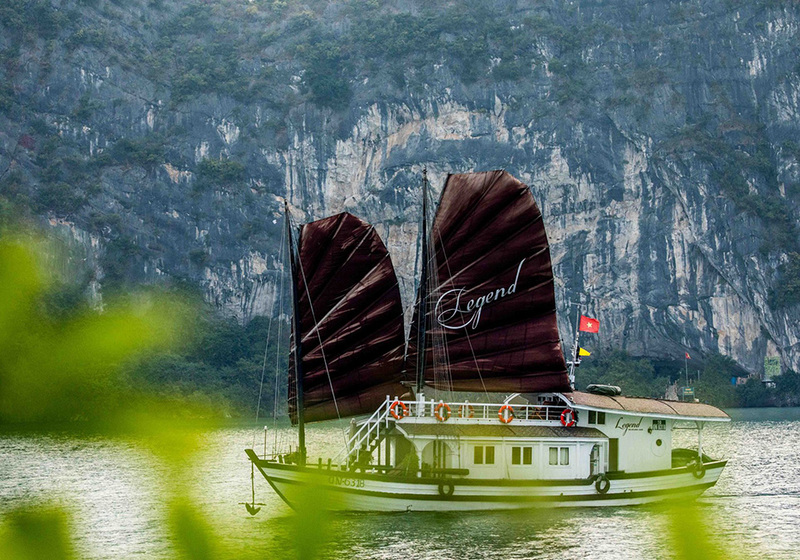 Indochina Junk is a cruise operator that is highly-rated on TripAdvisor which is a strong proof for its quality. They have many cruises and the one that’s perfect for couple/honeymooners is the L’Amour Junk – 1-cabin cruise. Since this is preferred by lovers, they will have your room decorated beautifully & romantically with roses and candles along with a lovely cake and a small gift. Prince Junk is another option from Indochina Junk with 2 to 4 cabins; which make sense for families or a small group of friends. 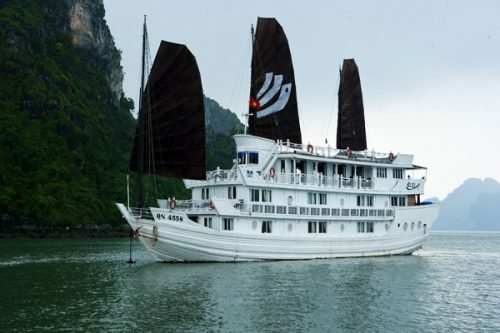 From the Bhaya cruise operator, the Bhaya Legend Cruise lines bring you to the less tourist part of Halong Bay; which is Bai Tu Long Bay and its equally charming neighbors Cat Ba Island and Lan Ha Bay. With the capacity of 1 to 3 cabins per vessel, this boutique cruise especially suited to couples, families and groups; who seek for a private experience with superior service. The highlight is they have a private butler; who is ready to serve you anytime and fulfill as much of your requests as possible. There are 2 choices that you may want to consider; that are a full day cruise or a half day cruise. Thanks to the opening to traffic of Halong – Haiphong Expressway and Bach Dang Bridge, the way from Hanoi to Halong Bay has been shortened for around 2,5 hours. So if you want to start from Hanoi in the morning, the only option is doing the half-day excursion which you will embark on board at around noon, then come back to the mainland at 17:00-17:30 on the same day. 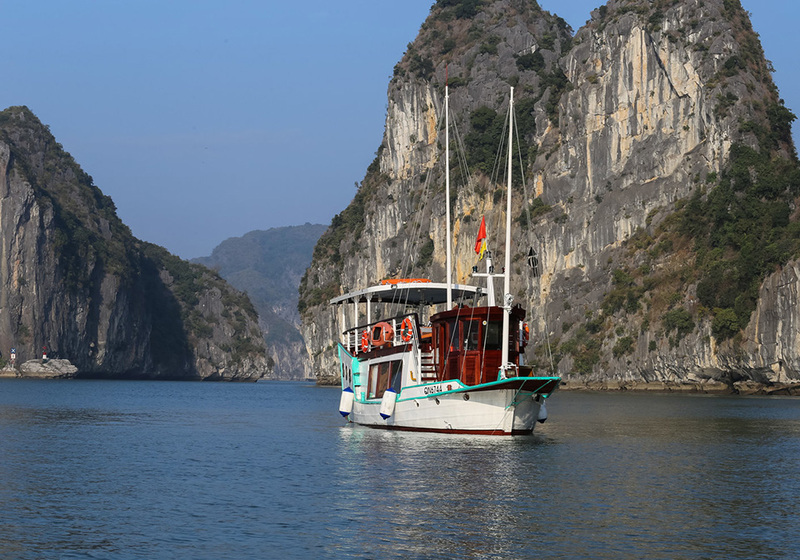 Meanwhile, if you are already in Halong Bay staying in a local hotel or disembarking from the sea ship, it is feasible to start the trip at 8:00 am and do the full-day trip. With 6.5 hours on the Bay, it is totally reasonable to board on this vessel. A small boutique wooden boat is for maximum 4 people; but you can always have the cruise for yourself and your friend/lover. 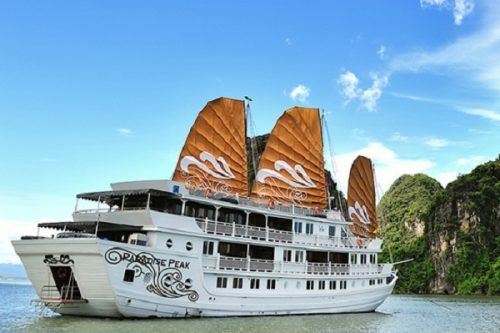 Similar to the Bhaya Legend Cruise, it has a personal butler who will handle all of your needs and introduce you to the heritage of Halong Bay. Also a favorite baby from the Indochina Junk, this cruise suited for the small group of friends and family members since its capacity is for maximum 12 people. After 8-9 hours discovering most highlighted part of the Bay, the cruise will come back to the pier at 5 pm. One of the important things to check before booking your preferred cruise is what’s included in the package. Normally, you will have all entrance fee and sightseeing tickets, a private English speaking tour guide (other languages upon availability), meals on board and kayak fee. 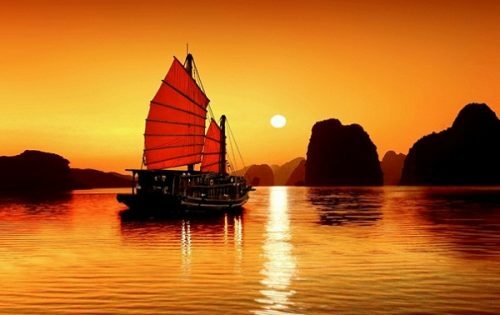 Some companies do not contain the transfer between your hotel in Hanoi and Halong Bay to cut down the cost so make sure you ask carefully about it. With the shuttle bus, it only collects the guests staying in the Old Quarter area in Hanoi. Meanwhile the private van picks you up anywhere you want in Hanoi. The meals on board does not go along with the beverage so you have to pay for it while it is pretty expensive, more than on land. It seems to be easy now, right? 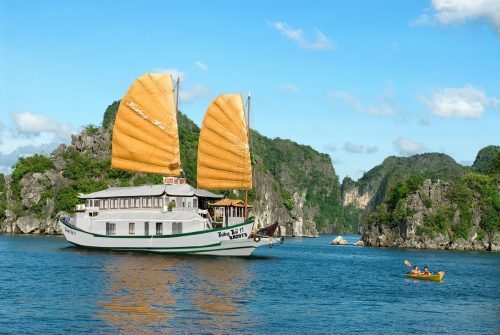 But I would suggest you the best way is to contact Halong Junk Cruise with professional cruise experts who are investigating a lot of Halong Bay cruise trips. They definitely will give the best option that matches your interests as well as the planned budget. 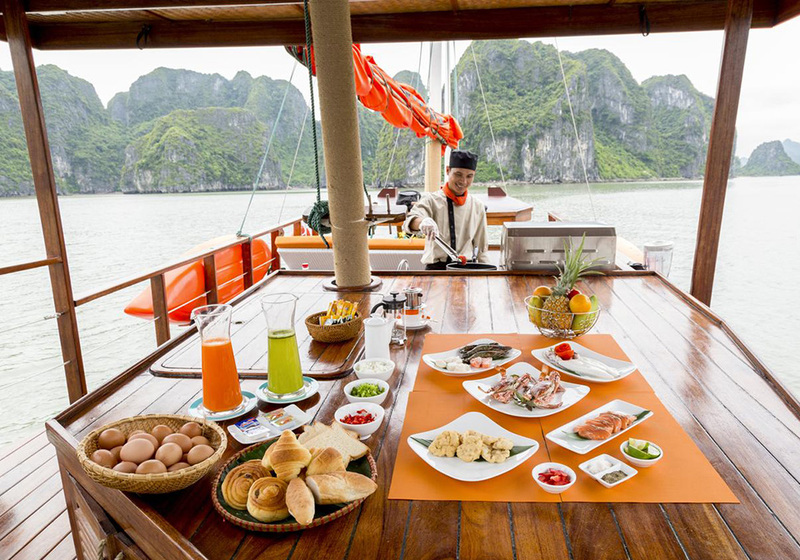 Likewise, you should have a look at this list of Halong Bay Private and Charter Boats for more details about cruise itineraries as well as its information.